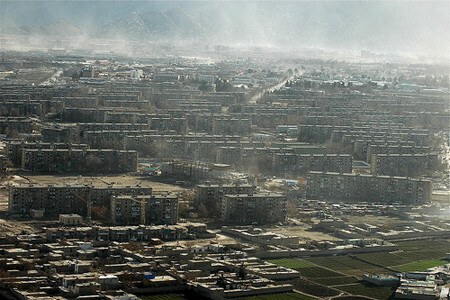 About 3,000 people lose their lives every year in Kabul due to pollution-related diseases, a top health official said. Respiratory, heart and lung diseases were the most common illnesses associated with pollution, said Dr. Amanullah Hussaini, who heads the environmental safety department at the Ministry of Health. Pollution was a problem across the entire country but in Kabul it was more severe because of the huge number of people living in the province, which includes the capital city, said Najeebullah Yameen, who is the deputy head of the Afghanistan National Environmental Protection Agency. 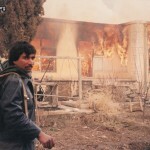 "Kabul bears the brunt more than other provinces due to its huge population of five million people." He said Kabul was originally built for 500,000 people. The country also does not have the financial resources to cope with pollution and other environmental-related problems, he said. In Nangarhar province, 250,000 people suffer from diarrhoea, typhoid, malaria and respiratory problems, said the health director, Dr Ajmal Pardes. He blamed the large number of brick kilns of "deliberately polluting" the environment. Agriculture director, Mohammad Hassan Sapi, said that over the past three years, Nangarhar had made huge strides in agriculture, but sometimes at a cost. While more than 22,500 acres of land had been cultivated with gardens, many forests had been chopped down, he said. Shah Mahmood Miyakhel, who heads the environmental protection agency in the province, said they had been trying to raise awareness about environmental degradation. Some factories had been given machines to reduce their output of carbon dioxide, one of the key greenhouse gases heating up the planet and causing climate change.However, he said he was concerned about the continuous deforestation in Kunar,Nuristan and Nangarhar provinces.